In partnership with the Robert Rose Foundation and Disability Sport & Recreation (DSR), the league provides an opportunity for people with a physical disability to play football in a state-wide competition. The 10-round competition will run between May and September, with the Grand Final to be played in September during the AFL Bye-Round. AFL clubs Collingwood, Essendon, Hawthorn, Richmond and St Kilda will again take part in the competition. Head of AFL Victoria Ricky Bell said the success of the inaugural season gives an indication that we are achieving our vision of being the most accessible sport for all Victorians. “Season 2018 was a huge year in football for people with a disability, with the launch of the Robert Rose Foundation Victorian Wheelchair Football League. “This year, we have already seen more people participating in the sport through our Open Skills Session and the VWFL Draft Combine which was made possible by Global Performance Testing Australia. “Our achievements would not have been possible without the support of the Robert Rose Foundation and Disability Sport and Recreation. 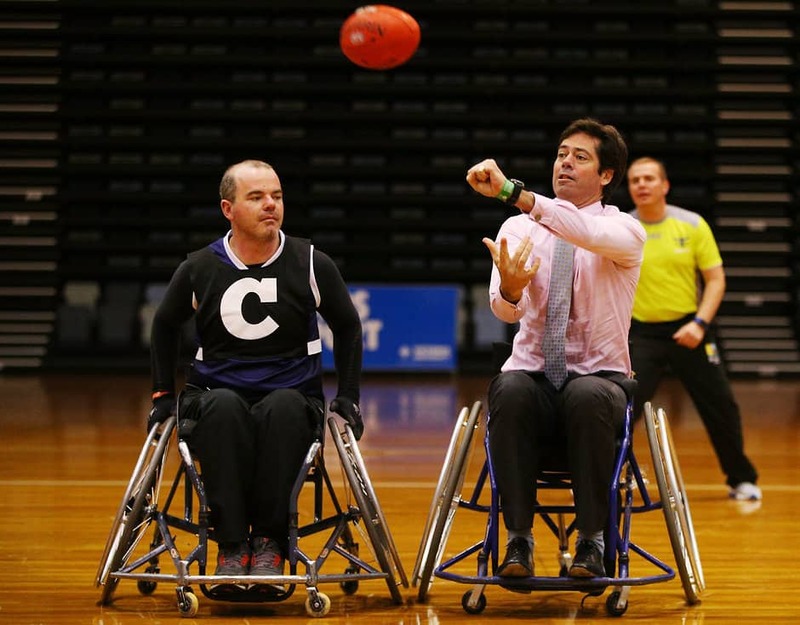 “The sport of AFL Wheelchair has now grown far beyond our expectations and we are excited to see the continued success of the VWFL,” Mr Bell said. Robert Rose Foundation acting Chair, David Poulton, said the Foundation was delighted that it had been able to continue its support as naming rights sponsor of the VWFL. “And we’re grateful for the support we in turn have received from the players, a number of whom are involved with our new ‘Team 22’ project, which will have its official launch at the Collingwood and Western Bulldogs game on Friday,” Mr Poulton said. Round 1 of the VWFL season will commence on Sunday, May 12 at Boroondara Sports complex. Team 22 will launch during Round 4 of the Collingwood v Western Bulldogs game at the MCG on Friday, April 12. Further, there will be an opportunity to experience wheelchair football between Gates 2 and 3 at the MCG. For more information visit www.team22.com.au.